An inverted head and shoulders pattern has formed on a weekly chart of WTI crude oil. Such pattern forms when prices test a level of support, bounce, retreat lower but then rebound again and test the previous support one more time, failing to break down this time. Head and shoulders is a reversal pattern, suggesting that prices should go in a direction that is opposite to their previous trend. In the case of an inverse one, it means that prices have found a bottom and are likely to rally. The upper yellow line shows an upper border of the pattern. The middle one shows the level of support tested by shoulders while the lower one indicates the bottom touched by head. It is general consensus that when prices reverse following a head and shoulders patter the reverse move will be at least as big as the height of the head. On the present chart, the height of the head is the distance between the upper Bounce House Indoor Playground and the lower yellow lines, which is mirrored by the channel showed by the cyan and the green lines (though they are also moved upward by 10% of the channel’s width). If prices indeed go higher and reach the cyan line, it would be a sign for traders willing to place bullish bets on oil to open long positions. The green line is a profit objective that suggests speculators to close their positions and book profit. The chart was built using the ChannelPattern script. 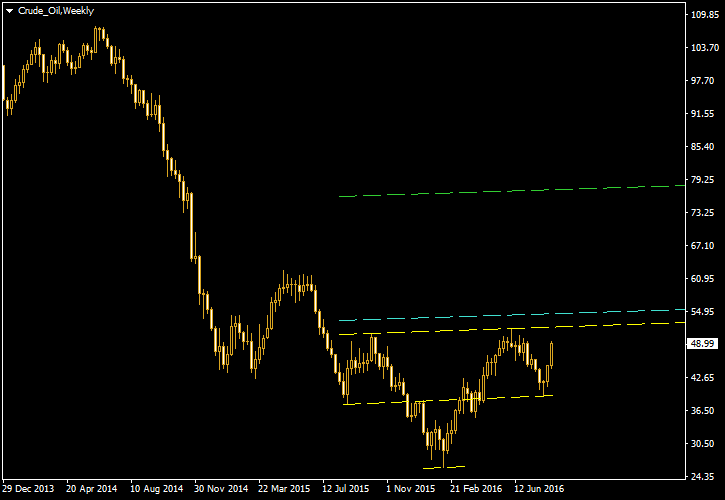 You can download a MetaTrader 4 chart template for this WTI oil pattern. You can also trade it using the free Chart Pattern Helper EA. If you have any questions or comments regarding this head and shoulders pattern on WTI oil chart, please feel free to submit them via the form below.